It is essential that if you run a hardware business you have to be online. When customers search for PC or laptop parts the check the online stores first. And if you want to be successful and boost your client base then you have to develop an eye-catchy and fully functional online store. And when it comes to hardware stores the Sfoware OpenCart theme is a perfect choice. 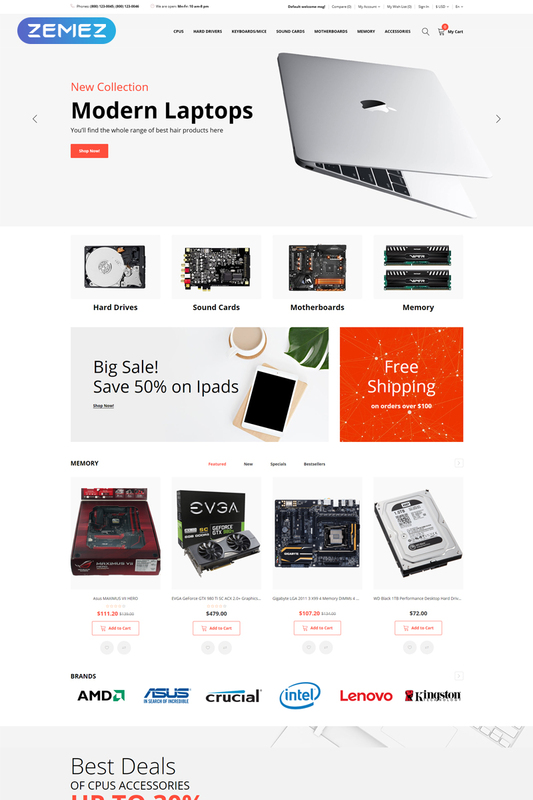 This Theme was developed to help you sell motherboards, tablets, smartphones, memory devices, and many other hardware parts and accessories. It has a cart, wishlist and compare features. Moreover, it also has currency options and language options you can use to attract clients from other regions. It has a blog, social options, and many prebuilt pages. It is eye-catchy and well-structured Opencart theme, yet you can check it by yourself via the product page.